An Englewood-based company wants to build a six-story hotel with 112 rooms along RiNo’s Brighton Boulevard. TWC Management submitted a site-development plan to the city last week for 3560 Brighton Blvd., a 0.43-acre site the company paid $3.29 million for in January. The property currently is home to a 4,000-square-foot, one-story building. The hotel TWC wants to build at the site would be 64,921 square feet, according to the plans. In addition to the lobby, the ground floor would have a fitness center and a 969-square-foot space labeled “market/coffee/bar,” the plans say. The second level would have three conference rooms. The hotel rooms would be on floors three through six, and range in size from 266 to 474 square feet, according to the plans. The development would have four parking spaces. According to TWC’s website, the company’s portfolio consists of three Best Western Properties, in Colorado’s Sterling and Fort Morgan, as well as Cheyenne, Wyoming. 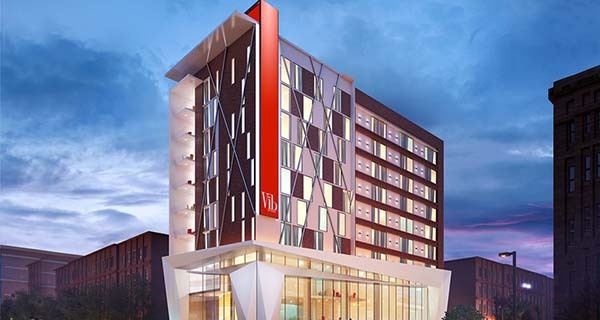 On Monday, after this story was published, TWC said that the property will be a Vib hotel, a new brand from Best Western that is currently operating in Springfield, Missouri, and Antalya, Turkey. TWC’s property is across 36th Street from Revolution 360, a planned office-and-retail development. It is about two blocks away from the Source Hotel, which just opened.